Monday evening I took the family to Brodic Pizza. “Brodic” comes from the word “brod” which means boat in Serbian. The “ic” diminutive would signify “little boat” or “boaty” in English. It is a very hip place! The restaurant consists several old boats that are permanently anchored next to the banks of the Sava River, a major tributary of the Danube. 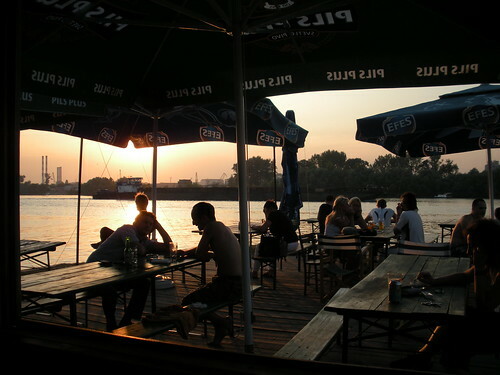 On a hot summer evening in Belgrade, it made for the perfect atmosphere. 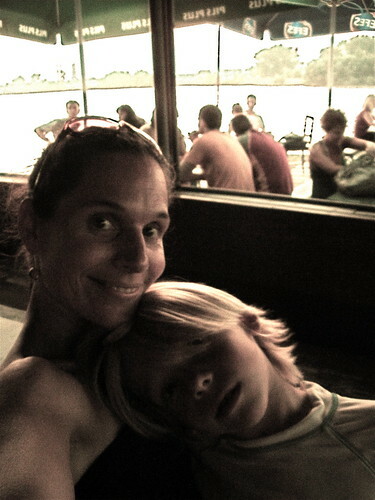 We enjoyed cold drinks and laughs while watching the various boats going up and down the river. It is hard to find because it looks like most of the old, derelict barges and boats that line much of the Sava River in the city. We always ran or biked on the path that goes right by it all last year and didn’t even notice it. It is across from the Sajam Convention complex, hall number 5. It is between Ada and the Railroad Bridge. “Splavs” (rafts or floats) are very popular in Belgrade. These are bars, discos, restaurants, weekend cabins, etc. that are found all along the Sava and Danube rivers in the city. They range from expensive restaurants near the Grand Casino in New Belgrade, to weekend cabins on the backside of Ada Ciganlija. We haven’t gone to these much but plan to explore this side of Belgrade. I am even considering getting a small boat or kayak to enjoy the rivers. Brodic was full on a Monday night. A couple of boats anchored up and ordered food and drinks. It was very casual, with most of the crowd younger hippies and free spirits. The pizza was quite good, especially the thin crust which was loaded with sesame seeds. We prefer Pizza Hut to Brodic, but it was still excellent. I had my first Weifert beer and liked it. It is a less popular Serbian beer brewed in nearby Pancevo. Many of the teachers at school meet at the “pizza boat” on Friday afternoons when the weather is nice. I highly recommend Brodic and will occasionally revisit.